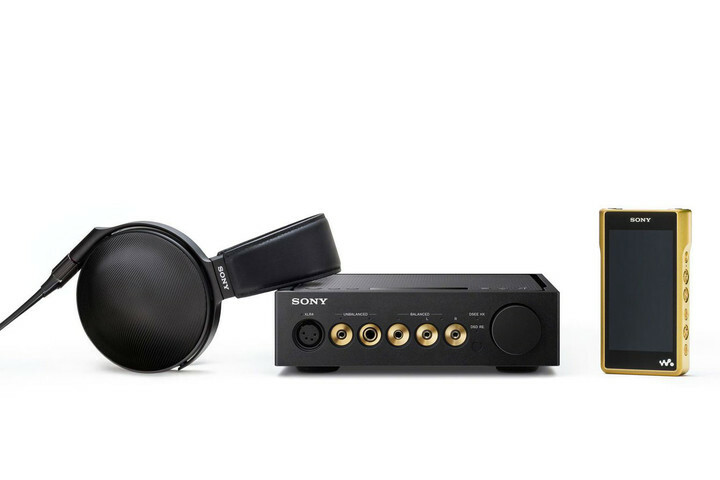 Sony has launched a new Signature Series line of what it calls high-resolution audio devices. Counted among these devices is the MDR-Z1R headphones, the NW-WM1A and NW-WM1Z Walkman devices, and the TA-ZH1ES headphones amp. All of which are designed to complement each other. The MDR-Z1R headphones are optimized for high-resolution audio, featuring 70mm magnesium dome drivers and the neodymium magnets. The premium materials aren’t the only thing that speaks to the quality of the headphones either, as they were developed in the collaboration with one of Sony Music Battery Studios’ own top mastering engineers. This headphones use a beta titanium headphone that is flexible and also helps to keep them light. Which combined with leather-covered ear pads, should make these quite comfortable. If you plan to use these with a standard headphone amp. You’ll need an adapter, as they use the new industry 4.4mm jack instead of the traditional 1/4-inch or 3.5mm jacks. Sony says this new flagship Walkman is the ‘most incredible’ music player it has ever made. It comes in two flavours, the NW-WM1A and NW-WM1Z. Both can handle a wide range of audio formats, with high-resolution FLAC (up to 32bit/384kHz) formats and native playback of DSD (up to 11.2MHz). Sony claims its DSEE HX processing is able to upscale the low-bitrate formats such as MP3. The front of the device sports a four-inch touch screen, but there are also a physical controls on the sides. As for battery life, expect up to 30 hours of high-resolution playback. Both units accept MicroSD cards for the expandable storage, but the NW-WM1A has 128GB of built-in storage, while the NW-WM1Z has 256GB. Speaking of headphone amplifiers, the TA-ZH1ES is Sony’s first to carry its ES branding, meaning this one is seriously high-quality. It also uses a combination of a Sony S-Master HX digital amplifier and an analog amplifier to bring clarity and low distortion of digital with the touch of audio magic which analog circuits are known for. The new TA-ZH1ES features support for nearly every high-resolution audio format out there, including DSD up to 11.2 MHz. The highest resolution native PCM formats are supported as well, though for both this and DSD, you’ll need to be using a compatible player, like Sony’s new Walkman models. None of this lineup is especially cheap. The MDR-Z1R Signature Series headphones retail for $2,300, The NW-WM1Z Walkman has a MSRP of $3,200, while NW-WM1A is the least expensive of the bunch at $1,200. The TA-ZH1ES headphone amp goes for $2,200. The headphones, amp, and NW-WM1Z are coming in Nov, while the NW-WM1A will be available starting early next year.